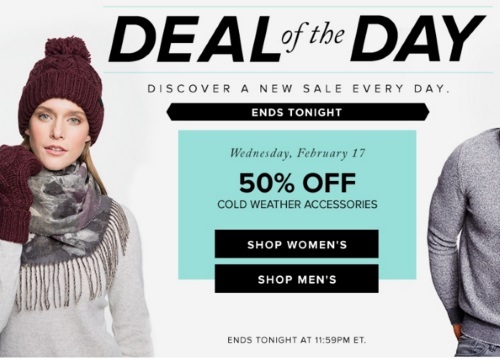 Hudson's Bay Deal of the Day today is 50% off Cold Weather Accessories! Great for the cold winter weather that we've had lately! Offer s valid online only until 11:59pm ET today.